This is where the first Habitat store opened in 1964. Description: Fashion legend Terence Conran and his wife Caroline opened the first ever Habitat store here on 11th May 1964, starting a revolution in British Homewares. In 1963 Conran opened a factory in Thetford, Norfolk, making flat-pack furniture but it didn't take off. 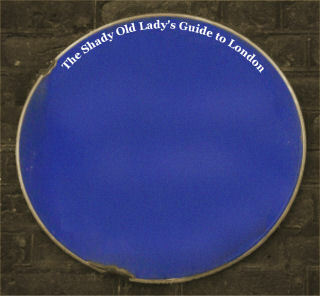 Conran told Retail Week in 2008 that The staff looked so bored. They were flicking bits of blotting paper at each other. So he opened his own store here on the King's Road. 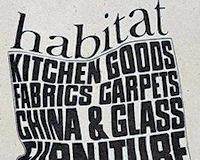 Ironically, Ikea bought Habitat later in the 1990's, much to Conran's chagrin. In 1988 Joseph Ettedgui opened his flagship new store Joseph here offering incomparable style inspired by covetable new styles from across the globe. Joseph started as a hairdresser on the King's Road on eve of the Seventies. He wanted to offer his customers more than just haircuts - he wanted to offer them a lifestyle. creative director Louise Trotter told Vogue in 2013.